Homemade 2-Ingredient Paleo Powdered Sugar Recipe! Make your own healthy powdered sugar in 5 minutes! It’s a great gluten-free & refined sugar free powdered sugar substitute! Today we are going to make homemade Paleo Powdered Sugar! I have a few recipes on my list of favorites that call for powdered sugar! Even though sometimes I just go ahead and use the regular-old processed variety…I never love how I feel after I eat it! So I set out to create this powdered sugar substitute recipe and I’m so glad that I get to share it with you! In less than 5 minutes you can make your own powdered sugar that has no refined sugar, no artificial ingredients, no fillers and it’s vegan! How to Make Homemade Powdered Sugar Substitute! 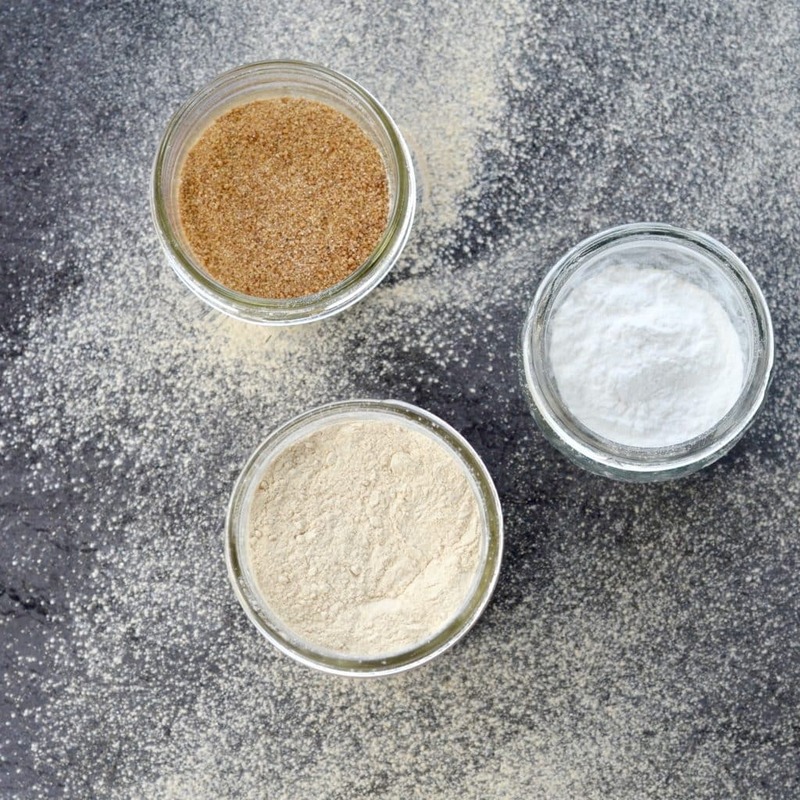 You only need three things to make this Paleo Powdered Sugar! 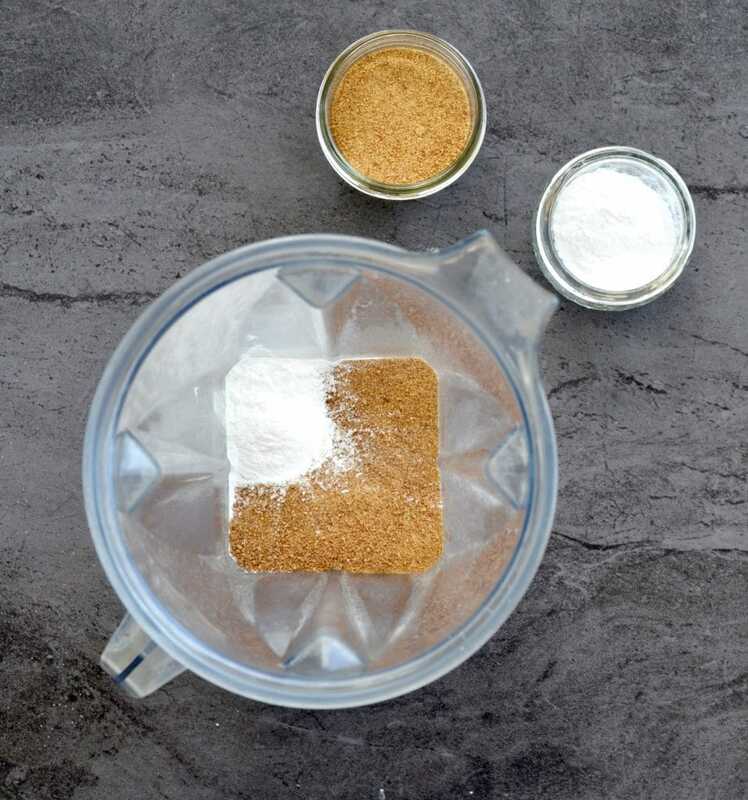 Start by measuring out your coconut sugar and tapioca flour and adding them to your Vitamix. Another high-powered blender would work, but I don’t recommend a food processor or a low-quality blender, because they don’t have enough power to make this Powdered Sugar Substitute recipe! 3. Remove from the Vitamix and Use! Remove from your Vitamix and use immediately in your favorite recipe or sprinkle it on top of brownies (or brownies)! Or you can store it for later in a glass jar at room temperature! 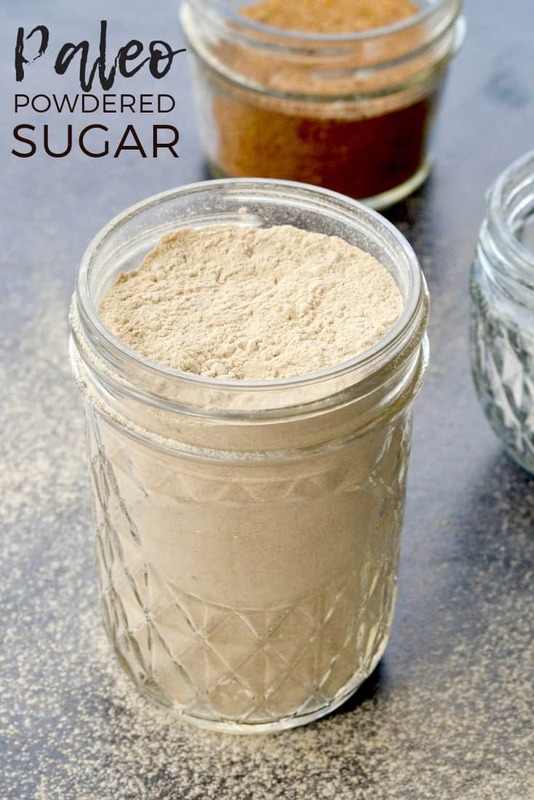 Here are some possible substitutions in this paleo powdered sugar substitute recipe. Just be sure that you choose ingredients that meet your dietary needs! Also remember color and texture will vary depending on the sugar you choose! Coconut sugar is my favorite unrefined granulated option, but maple sugar sounds pretty darn delicious! Coconut sugar. Any other granulated sugar can be used in place of coconut sugar (e.g. date sugar, sucanant, organic cane sugar, raw sugar, maple sugar, etc). Just be sure to choose a variety that complies with your dietary needs. Tapioca flour. 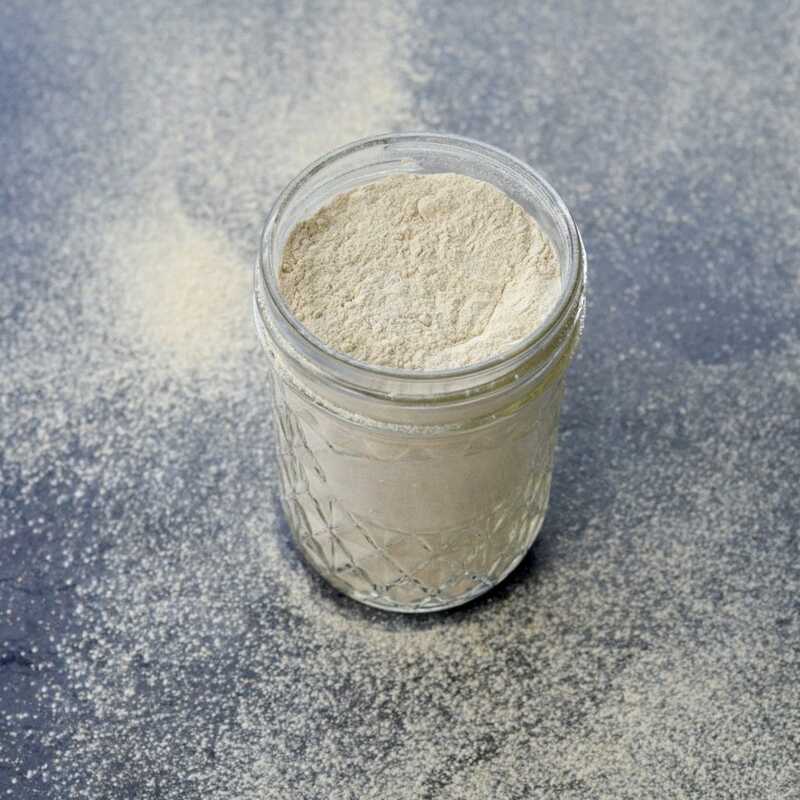 Cornstarch or arrowroot powder can be used in place of tapioca flour. Homemade 2-Ingredient Paleo Powdered Sugar Recipe! Make your own healthy powdered sugar in 5 minutes! It's a great powdered sugar substitute! Gluten-free, dairy-free, refined sugar free, paleo & vegan! 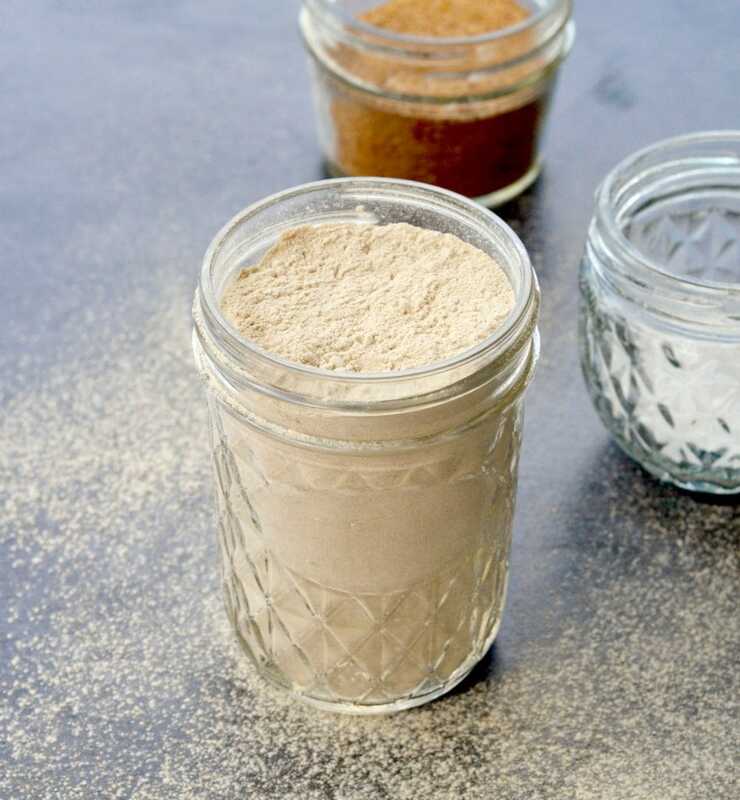 Add coconut sugar and tapioca flour to your Vitamix. Start blending on low speed and gradually increase to high. Blend for 30-60 seconds, or until your mixture obtains a fluffy, powdery consistency (like powdered sugar), and is light brown in color. Let the mixture settle in your Vitamix for at least 30 seconds before removing the top! Remove from blender and use in your favorite dessert! This recipe produces a 1:1 yield of coconut sugar: powdered sugar. We had an amazing weekend! 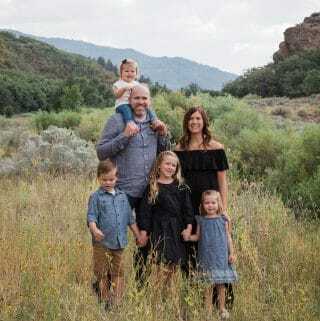 We played in the pool, took the kids to the zoo (SO fun) and spent some time with friends! Unfortunately, my sweet Naomi wasn’t so sweet, and this momma didn’t get to see the fireworks. :*( I’m still super sad that I had to miss such a precious experience with Gabe and Bethany…but if I had to pick one word that sums up motherhood (besides joy) it’s sacrifice. You could use any sugar and it would still be SO much healthier and better for you than store-bought!! 🙂 Plus it’s crazy easy! I love how simple it is to make your own powdered sugar! 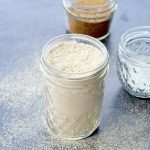 I’ve made powdered coconut sugar before quite a bit – but I never thought about it being paleo! YAY! So someone else who knows (and loves) the homemade powdered coconut sugar! 🙂 <3 next on my list is definitely maple sugar! Oh – I am so excited about this! Thank you! Hey Savannah! I agree with you…coconut flour is one of my favorite gluten-free flours! I like tapioca flour too though…it doesn’t have any taste or sweetness to it, which is why I like to use it! 🙂 You could try using coconut flour, although I would use less (maybe 1 tsp?) if you’d like your powdered sugar to have that sweet, coconutty taste! Although I haven’t tried it with anything but tapioca flour so I am not sure how it would turn out! I love homemade mixes and this will be a great recipe for powdered sugar! Thanks so much for sharing with Full Plate Thursday this week. Hope you are having a great day and come back to see us real soon! what kind of carb count does this powdered sugar have? Hello! I am not sure! You can put the recipe into a website like this and it will calculate the nutrition information! Oh I love this Laura! And I know my readers will too! Definitely sharing and pinning this one! Might even use it in a recipe and thank YOU for the inspiration! I have done this on sveral occasions. Instead of using regular sugar, I use organic brown cane sugar or coconut sugar. Hey Rebecca! Doesn’t it feel so great knowing exactly what you’re putting into your baked goods (and then into your body)? I love using the Vitamix to create healthier pantry staples! Do you have to use tapioca flour? Do you know if coconut flour would work? You absolutely could try with no flour at all. I find the tapioca flour helps stabilize the powdered sugar and makes it last longer! You could use arrowroot starch as well! or no flour at all? have you tried using this powdered sugar in frosting rather than regular powdered sugar? Hey Emily! Yes I have and it works very well! It has a slight brownish tint but it tastes great! Love love love this recipe/tip! Thank you! Can I use this in making frostings for cupcakes instead of confectioners sugar? Yes! I do! Just keep in mind that using coconut sugar will make a brown tinted powdered sugar, which will end up in your frosting being the same brownish color…unless you use a natural food coloring to change that! Mine turned out really browny. Haha maybe because my coconut sugar is really brown? The color did not turned out like yours. That is the only downfall of using coconut sugar…the brown color! Mine is tinted brown (if you can’t tell from the photos). 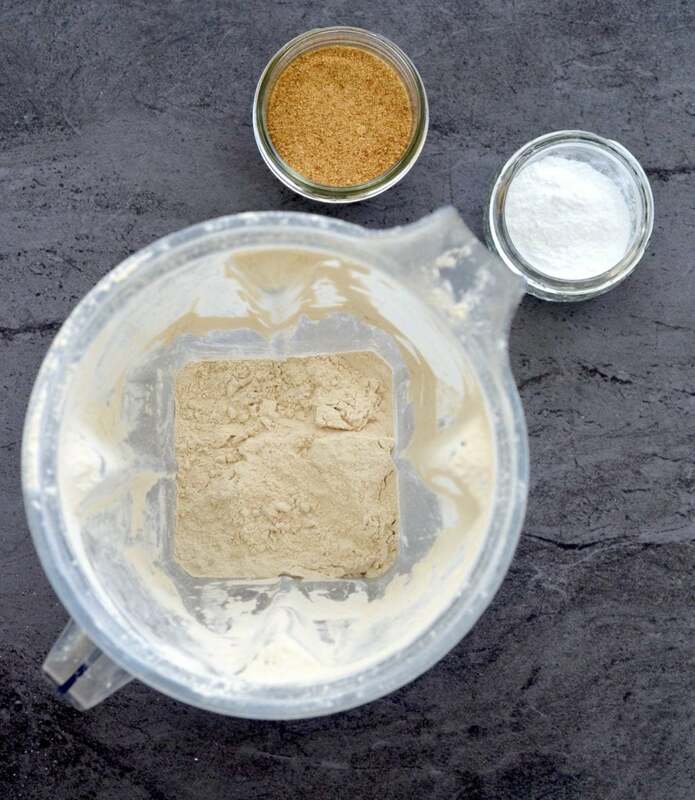 I use Nutivia coconut sugar, which may be a bit lighter than the variety you chose to use? Are thenonly sugars I use .’it’s sweet and good tasing ! Can’t wait to try this! How long will it last once made? I’ve stored mine for up to 2 months!